Tamoxifen is a hormone therapy drug taken by many premenopausal women after completing their initial treatments for estrogen receptor positive breast cancer. To treat the side effects of tamoxifen (such as hot flashes) and to help with depression, doctors often prescribe antidepressants. Yet many antidepressants can interfere, or completely cancel out, the benefits of tamoxifen. What should everyone taking tamoxifen know? Once a woman is finished with the primary treatment of breast cancer, with therapies such as surgery, chemotherapy, and radiation therapy, she may need to take tamoxifen. For women who have estrogen receptor positive tumors, hormone therapy can reduce the risk of the cancer coming back (recurrence) by around 50 percent. The choice of medication depends on menopausal status. If a woman is premenopausal, tamoxifen is usually the drug of choice. (For those who are postmenopausal, or who are premenopausal but have received ovarian suppression therapy, an aromatase inhibitor is usually used instead). Breast cancer cells that are estrogen receptor positive are fueled by estrogen. Estrogen present in the body (made by the ovaries) binds to these cancer cells to cause growth. Tamoxifen works by binding to these receptors so that estrogen can't, essentially starving the cancer cells of their food. The side effects of tamoxifen include menopausal-type symptoms such as hot flashes, low libido, and vaginal dryness. For women who have not yet reached menopause, the hot flashes can be very annoying, but we've learned in recent years that some antidepressant medications can reduce these hot flashes. Unfortunately, some of these antidepressants can also reduce the effectiveness of tamoxifen. Not surprisingly, many women who have been treated for breast cancer develop depression. The combination of a life-threatening diagnosis, the side effects of treatment, and the changes to body image that go with treatment all set the stage for a large emotional impact. Unfortunately, after many women with breast cancer were treated (almost routinely in some places) with antidepressants, it was discovered that several antidepressants can reduce the effect of tamoxifen. How does this occur? Tamoxifen and drug interactions are common, and this includes many medications in addition to antidepressants. 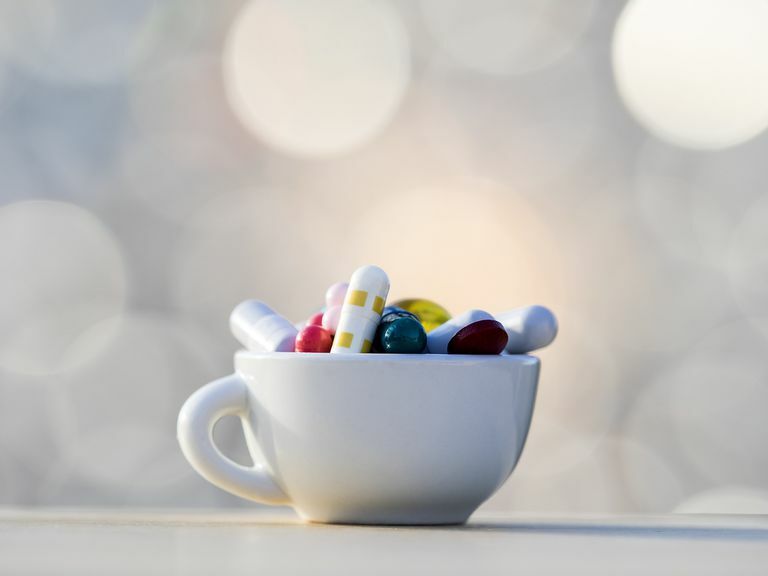 Since many of these are commonly used drugs, including over-the-counter drugs such as Benadryl, it's important to talk to your doctor and pharmacist about any medication, over-the-counter preparation, or dietary supplement you are considering, while you are on the drug. Since many people take tamoxifen for 5 to 10 years, this is even more important. Keep in mind that not all physicians are familiar with these interactions (and we are learning more all the time). What this means is that if you should go to urgent care, for example, with an infection, talk to your oncologist or pharmacist before taking any medications that have been prescribed. Tamoxifen is metabolized in the body to endoxifen. Endoxifen is 30 to 100 times stronger than tamoxifen and is responsible for most of the clinical effects. Tamoxifen is broken down to endoxifen by the cytochrome P450 enzyme CYP2D6 (plus others that are less important). Any drugs that reduce the activity of CYP2D6 (and there are many) can reduce this breakdown process and hence, the amount of endoxifen that is produced. We are still learning more about specific antidepressants and their effect on tamoxifen levels in the body, but thus far we've noted that different antidepressants can effect tamoxifen in different ways. Some antidepressants (such as Prozac and Paxil) almost completely negate the effect of tamoxifen. In this case, it would be like not taking tamoxifen at all (and not having the benefit of a reduction in recurrence risk). With other antidepressants, there is a moderate interaction, and with others, only a slight interaction. In contrast, one dietary supplement may actually increase the effect of tamoxifen (and also the side effects), although other studies have shown the opposite. Below is a table that summarizes what we believe is true about several antidepressants today. This is an area of active research, and it's likely we will be learning more in the near future. If you are considering an antidepressant medication, have a careful discussion with your doctor, but also periodically ask if anything has changed. Note: Studies confirm that Zoloft interferes with Tamoxifen. Note: Pristiq and Remeron have not been well-studied for interaction with Tamoxifen. (Actaea) May inhibit or enhance the antiestrogen benefit depending on the study. Note: There are just a few studies for interaction with Tamoxifen, and most have been done "in vitro" (in the lab and not in humans). Knowing about the potential interactions between tamoxifen and antidepressants is crucial if you are considering any of these drugs. Some antidepressants strongly negate the effects of tamoxifen, and it's thought that this interaction is the reason behind the increased death rate of women with breast cancer who took Paxil. Currently, the safest option both for hot flashes and depression appears to be Effexor, but again it's important to note that this is an active area or research, and we may learn more in the near future. Since black cohosh has a reputation of helping with hot flashes related to breast cancer treatment, but may also interact with tamoxifen, it's important to talk to your oncologist about any medication, over-the-counter preparation, or dietary supplement you are considering. Haque, R., Shi, J., Schottinger, J. et al. Tamoxifen and Antidepressant Drug Interaction in a Cohort of 16,887 Breast Cancer Survivors. Journal of the National Cancer Institute. 2015. 108(3):djv337. Juurlink, D. Revisiting the Drug Interaction Between Tamoxifen and SSRI Antidepressants. British Medical Journal. 2016. 354:i5309. Li, J., Godecke, T., Chen, S. et al. In Vitro Metabolic Interactions Between Black Cohosh (Cimicifuga Racemosa) and Tamoxifen Via Inhibition of Cytochromes P450 2D6 and 3A4. Xenobiotica. 2011 Aug 9. (Epub ahead of print).